As today, in the crucial dynamic environment, our business keeps changing rapidly. So top-management of each organization is expecting more on their member to understand their business well. Consequently, “Business Acumen” has been identified as one of the critical competencies needed by leaders over the next decade as this is the consensus among “Human Development People” from most of leading organizations. It is essentially behavioral and experiential, and not merely a mastery of technical business knowledge, concepts, or practices. It requires the synthesis of technical knowledge, personal business experience, broad organizational exposure, global awareness, and analytical insight. High levels of business acumen result in improved financial performance, operating efficiency, human capital value, and market share growth. It leads to decisions that incorporate a balance between short-term objectives and long-term strategic goals. It enables organizational agility to quickly exploit opportunities and defend against threats. Greater bench strength among emerging leaders. Business acumen requires the past experience, technical business knowledge, broad organizational exposure and analytical thinking where our traditional training are limited to the technical components. In other words, having an MBA does not equate to having business acumen. Within complex organizations, there is a mindset that certain individual or functional departments do not wish to share information with others in the same organization. This is often referred to as “silo mentality” which is against to building broad business exposure within leaders in their formative development. It’s difficult to measure the degree to which someone possesses business acumen skills via conventional assessment tools. Because business acumen requires experience, the path up the competency curve can be slower than what is needed for emerging leaders rapidly assuming increased responsibility. Many organizations still address business acumen via traditional business knowledge training, while this business knowledge actually is an essential ingredient of business acumen, but it does not build the higher refined skills that organizations need and rely on to grow, stay competitive, and build shareholder wealth. The chart below depicts the outcomes derived through business knowledge training versus the higher value outcomes associated with refined business acumen. *Product, price, place and promotion. Enpeo Consulting is one of the leading consultancy service that strives to develop employee leadership and engagement. Business acumen in one of critical competency which we believe that people with keenness of business acumen will be able to make quick, good business decisions that drive superior performance contributing to their organization. We facilitate business acumen workshops that help people to understand the big picture of business system and interdependent between functions in the business. In the workshop, participants learn how the business makes money, the structure, component and meaning of financial report, value driver in business and relationship between cashflow, profit, growth, employee, customer etc..
Do you want to help large corporations in Thailand and Asia make change happen? 2015 flew by in fast pace. Fun and challenging projects, 4 new consultant and designers joining the team and of course office expansion. The coming year is going to be even more exciting. With projects where we will really stretch our creativity and design capabilities and also more global focus. Are you ready to develop together with our team, or do you know someone that is? Please get in touch with us as soon as possible. What more can be added to the category of leadership books? The newly launched leadership fable by Jean-Francois Cousin. Game Changers at the Circus, is the title of Jean-Francois Cousin’s new book on leadership. When I first heard about the project, I wondered what new can be added to this subject; isn’t there enough books on leadership already? After learning more, I realized that Jean-Francois was writing in an unusual format. Not the typical leadership book where readers are spoon fed with models and conclusions, but instead in a story-format that enables readers to think by themselves and draw parallels to their own reality. This approach to learning and transformation is very familiar to ENPEO and is the foundation of all our work; be it leadership development, change communication or business acumen training. It got me interested. Jean-Francois’s book is written as a fable where the main roles are played by animals at a circus. The reader gets to follow the animals’ journey from poor performance to achieving their greatest performance as a team. The story is naturally very engaging. As a reader it is easy to recognize the real-life characters illustrated by the animals and start to draw parallels to one’s own leadership behavior and find inspiration on how to improve leadership and team performance. 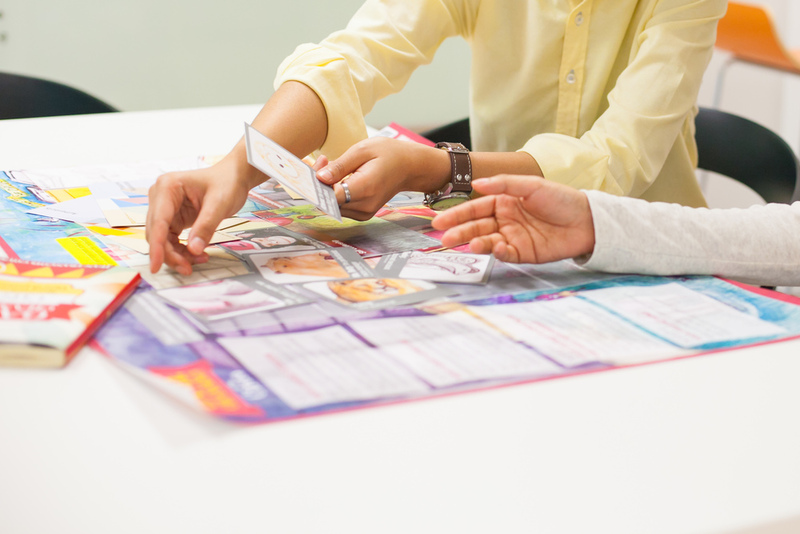 The board game helps leaders immediately apply insights from the book into real-life. It can be 'played' individually or in small teams of leaders. Based on our shared passion for story-telling and helping leaders to think and make change happen, Jean-Francois and myself decided to create a game to use in conjunction with the book. The game is designed to help draw learnings from the book into real-life. With the game leaders can assess the current situation in their team, discuss and define desired situation and discuss how to start closing gaps. It is OK to try the game before reading, but the full motivation and emotional connection to change, comes from immersing oneself in the full fable and connect with the animals, their strengths, weaknesses and their transformation towards greatness. All in all, Jean-Francois’s new book builds motivation and inspiration for leaders to unleash greatness in their organization. And the game helps them to immediately bring the learning from the book into reality. Do you want to help make change happen in large corporations in Thailand and Asia? In July we opened a second office that provides ample space for creative team work. Our office is conveniently located close to MRT station. We are again looking for the right people to join our growing team of consultants in the area of change management and change communication. Please find detailed descriptions here. Send us an email and introduce yourself, your vision as a consultant and how you can become an integral part of our team. As always, if you bring values and mind-set that match ours, we are more than willing to discuss and design the job together with you. Coaching is an essential leadership skill that managers use to develop employees full potential and improve the performance in their units. Some say you can’t be a great manager without being a good coach. While many organizations invest heavily in coaching training, there are a few common challenges that limits managers in applying coaching skills more consistently work. 15 senior leaders joined last weeks discovery session arranged by ENPEO. The topic was how to better communicate company vision and values to employees by supporting line managers with the right tools and process. The session ended with a discussion on the challenges corporations face in these aspects. 2015 starts fast & furious…we are hiring! One month into 2015 we know it's going to be a fun and busy year. Check what we are currently doing and know that we are looking for great members to join the ENPEO team. More for the public eye is todays traditional exchange of Xmas gifts at the office. A lot of fun since everyone seams do get a matching (or not!!) gift to bring home. Here we share ideas and experience from how to further strengthen leader development programs based on ‘vertical leader development’. By supporting managers to identify and articulate their own beliefs, values and vision, they can develop their leadership ability beyond the core leadership competencies. It isn’t enough to just inform employees about business strategy; employees must both believe in the strategy and also understand what they can do to help deliver the strategy. Employees must have clear “line of sight” between their daily work and the overall vision and direction of the company. How to achieve this in a consistent way across a large organization is difficult and it is tempting to rely on ‘broad casting’ information, believing hearing about the strategy is enough to create involvement and motivation among employees. Enter your email to subscribe to ENPEO newsletter. Your email is added to our News Letter list. Your information will not be used for any other purpose.